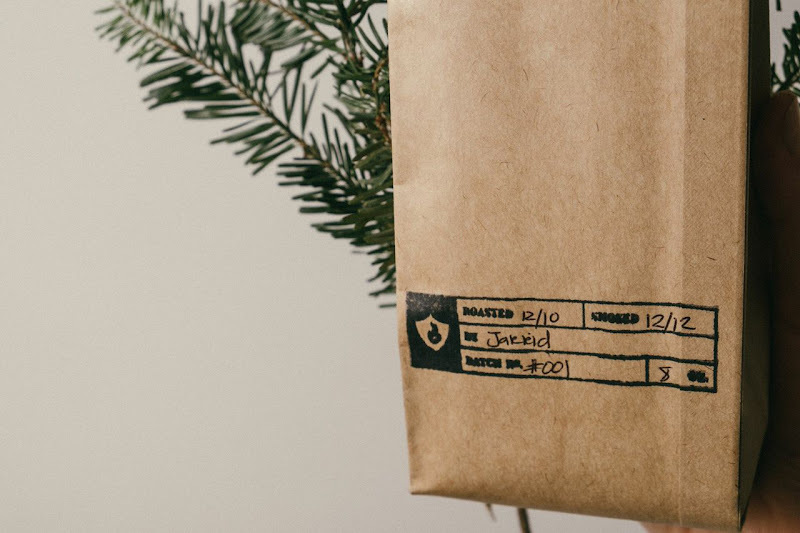 There's plenty of room in the coffee world for something that's super thoughtful and delicious without being overly precious, so when The Poor Porker out of Lakeland, FL. 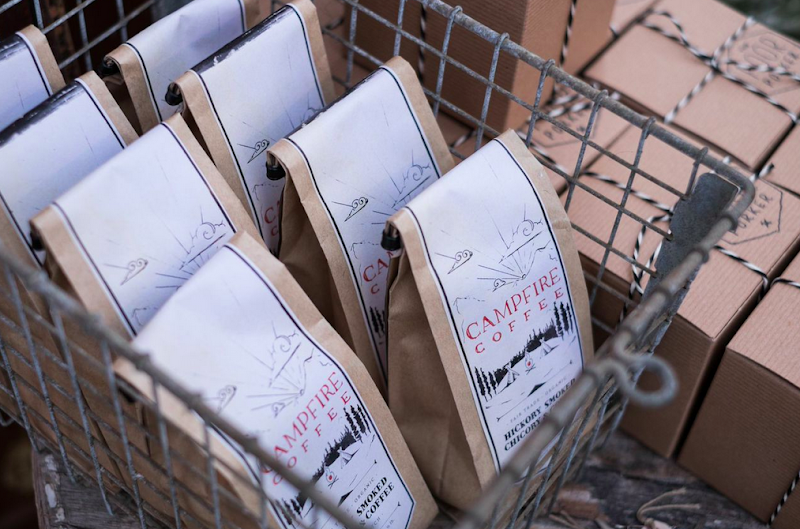 started making a roasted and smoked small-batch Campfire Coffee blend ($15 for an 8 oz bag), I was like: yes please. 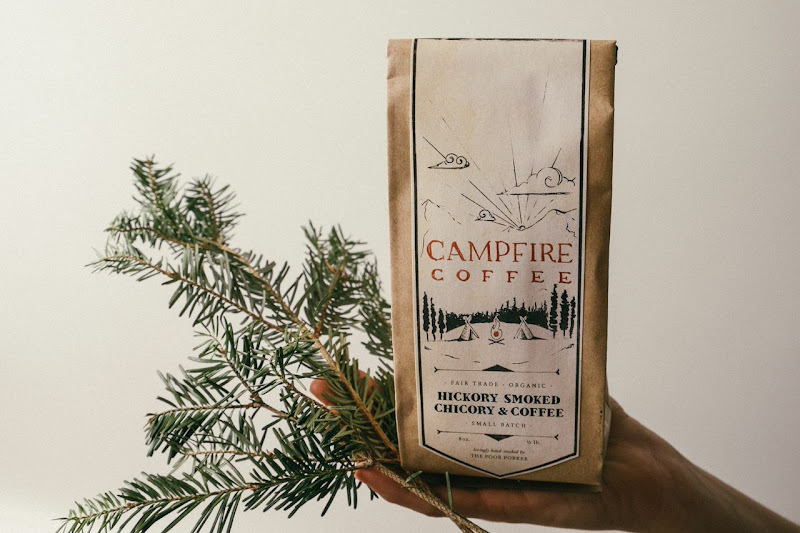 Here's the simple math: Hand smoked chicory + organic fresh roasted coffee x brewed any which way you like = a campfire in your morning cup of joe. 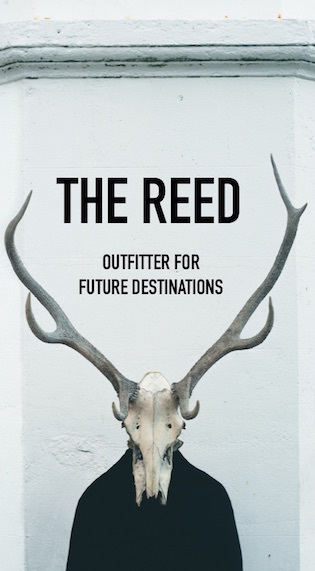 I won't go overboard and say it's transcendent, but it will transport you back to your last wilderness excursion for a few seconds before getting back to your computer—and that's something. You can complete the aesthetic experience with their hand-made enamel mugs ($18), but I think Robyn and Jarrid of The Poor Porker would encourage a proper trounce through the woods to realllllly complete the experience. 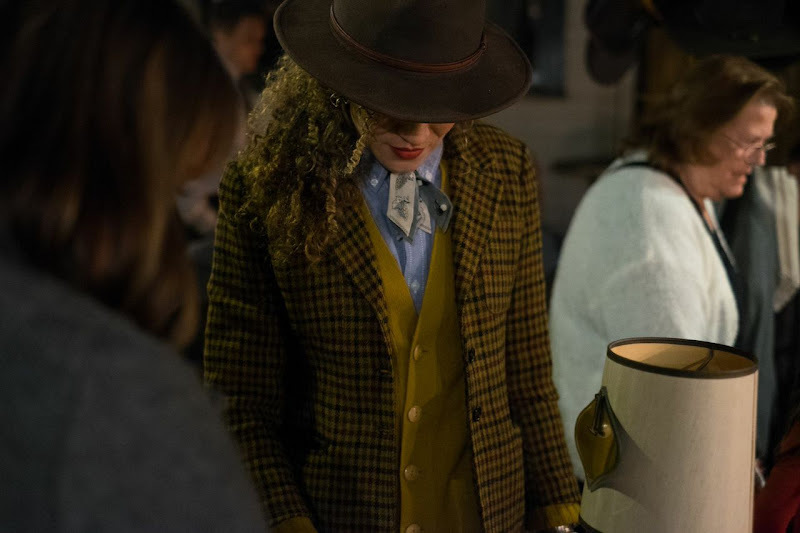 And lastly, a gratuitous shot of Poor Porker co-founder Robyn from their holiday pop-up because: great outfit...style blog...yadda yadda. I happen to live in Lakeland and can vouch for the deliciousness of the coffee and the fresh beignets! That outfit is pure Annie Hall. Perfect! Looks like Sunday my friendboy Patrick and I are jumping in his 1965 Chevy pickup to meet some new friends and enjoy all that deliciousness in Lakeland ! Orlando is only 55 minutes down the road- what took me so long?? Sadly I just read that they won't be open this weekend due to the flu. :( Haven't tried the coffee yet but the beignets are Awesome! Custom Enamel Mug online for you. If you are looking for customized mugs and jugs for your store or shop you can easily order here, we are delivering the right item at affordable price.